Welcome to my pixel art shop! There are many things to look at! Just be sure not to touch anything! You Break it - You Buy it! For the moment this is only a pixel and recolor shop. Once you request something - You Can Not Back Out! For now, you can only request animals (both real and mythical). For now, there is no form needed. If this gets to complicated, a form will be put in place. This is a first come, first serve basis. All applicants are of equal importance. No OCs unless they are completely animals (dogs, cats, wolves). No furries/anthros. I don't draw humans or human-like creatures. Once you commission/request a piece, I will PM you with details. Payment can be in gold, creatures, or both. We will discuss payment through PM. For Use ONLY On Magistream! Please Credit it me as well, if you use it in forums/signature/ect. Glass Dragons // Potion Bottles! You may request any color OTHER then black. You may add accessories such as bracelets, necklaces, etc. at no extra cost. ONLY for use here on Magistream. You must give me credit for them. Bases of Glass Dragons WILL NOT Change. Glass Dragons are 5k each. Any "size" (large, small, medium). Yes, the bottles can have decorations on them (such as wings, foam, bubbles, lace, etc.). Potion Bottles (no matter the size or shape) are 5k each. Last edited by Greirat on March 25th, 2017, 2:59:44 pm, edited 24 times in total. Re: Greirat's Pixel Shop! - Open! Last edited by Greirat on March 25th, 2017, 4:50:36 pm, edited 15 times in total. could you do a rat? If not that's okay! I have PM'ed you regarding details. Here is your finished artwork! Re: Greirat's Pixel Art! - Open! Hey, could I possibly get a Golden Alicanto holding an Alicanto Heart? Feel free to PM me! I have PM'ed you regarding your request! Here's your finished piece MockingBird!! If you need any thing to be edited, PM Me Please!! Last edited by Greirat on March 6th, 2017, 4:51:27 pm, edited 1 time in total. 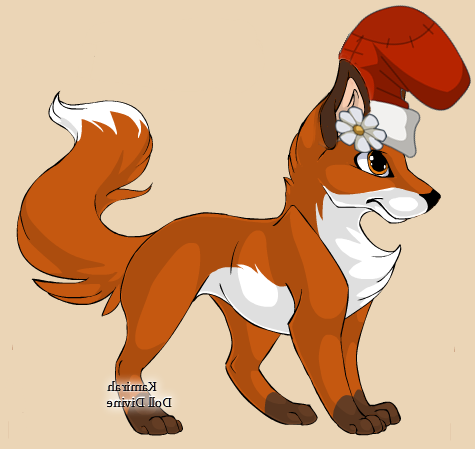 I would like an original pixel of my fox.